Diversity in books is important. It’s why We Need Diverse Books has blown up the way it has, spreading like wildfire. Readers have sorely noticed the lack of race, sexual orientation, culture, religion, persons of colour, disability (and more) being underrepresented and decided it was time for change. But like the saying goes, no press is bad press. Or is it? We want more diverse books, and in hand with that, shelves that prove it; that burst with all kinds of stories to tell. But in truth, just like with any book, we have no way of controling how truthfully and authentically a book will be portrayed. We hope it’s written by someone who either has experience or background in that matter or by someone who’s well researched and informed. But having been a reader all my life, I’ve come to know that sometimes that isn’t always the case. A point I’d like to bring up is what happens when we read a diverse title that unfortunately, for reasons, get’s things wrong? But more so, what if we don’t realise how off point it is? Not because of lack of smarts, but because of simply being uniformed. What sparked this thought was when I was adding a diverse title on Goodreads a few months back and I scrolled down to check out the reviews. In one review, someone with background on the subject had said how it was a cliche, offensive, stereotypical portrayal. But then there were also positive reviews, and 4-5 stars from a few friends who’d read the book. It was confusing. In the end, I ended up adding it, but it made me very cautious and wary of whether I’d even give it a go or not. Thinking about it now, I think I will. Not because I think the reviewer is wrong, but because I’d like to read it for myself and see what I think. It’s not a culture or religion I’m familiar with, so I plan to equip myself with a site that was recommended and to give that a read, too. Diversity is good, in all shapes and forms. But it’s even more important to make sure it’s written authentically, with care and knowledge. And I suppose the only way we can make that happen is to say we want more diversity; that we demand it. The truth is, whatever the story, diverse or not, there will always be a book that sometimes doesn’t get things right or offends or infuriates or puts its foot in it and chokes on it or makes a mockery. So what can we do? Firstly, discuss and talk about the books that don’t get it right and why. If someone is interested in one of those books, at least it will make them aware and they'll know that maybe it isn't the best representation available. Secondly, it’s our job as readers to let the amazing, magical books shine; for them to get the spotlight they rightly deserve. And another thing: to be aware and welcoming of what we aren’t familiar of. Read and enjoy a book on a specific matter ? Don’t just stop at one, read another and another. Or if you have questions and want to know more, research. Become informed. So with that: bring forth; share; chat; recommend and celebrate the books that get it right. Not only do they deserve our voice, they need it. Hi there! Dive Into Diversity participant? Don't forget to check out Rather Be Reading's awesome post! If you review a diverse book or write a diversity post throughout January, link up! Simple as that. If you haven't joined the challenge and would like to know more, check out this post. If you have any questions, feel free to leave a comment, tweet or email me. Happy reading! YES. If I could high five this comment, I would. It's so on the money. "we also need to move away from the idea that a diverse book is I don't know, "Killing off your asian character who was in one scene". Most definitely! Don't just add in a diverse character to kill them off. This is such a relevant post. I completely agree, when I read a diverse book that approaches a subject or culture I'm unfamiliar with I'm not sure how true it is if the author isn't of that background. What annoys me a lot is that in books where authors include diverse characters, the Chinese/Asian ones ALWAYS have an Asian name. It's actually really unlikely that an Asian person born in a Western country has an Asian name (unless they're Vietnamese) and it kills me when this happens. It makes the book a little less authentic for me. Thanks, Jaz. You make such a relevant point. I think the thing that is a little worrying is the fact people might read these poor representations and take it on board even if it's not true. Again, there's no quick fix. Only to read books and share with others of what you learn. You bring up some great points here. Instantly, I thought of the portrayal of Park in E&P. I was very surprised when I was seeing all the criticism of how Park was portrayed. Like, very surprised. I didn't think twice about it while I was reading, and then later, Rainbow said Park was modeled after a friend she knew in real life and she had even asked him to read it. So sometimes I think it's important to almost separate ourselves from the character because it's so easy to feel sensitive or offended. Everyone's experience is so different and I think different people are offended by different things so basically this whole business is complicated. I mean, even I get insecure writing a post like the one I did today or an upcoming review about an intersexed character. I don't want to hurt feelings or come off sounding unintelligent but it's hard when maybe we aren't so vocal about these things in everyday life. Whew. This is long. Does any of this make sense? Wonderful post, Becca! I think it's very important to always portray the diversity in books correctly because that's going to give impact and insight to the readers as well and you wouldn't want to be influencing the wrong thoughts to the reader if the author themselves didn't portray it right in the first place. I agree with Jess too, it is so not 'diverse' when you just go and kill off the Asian character in like the first page. Another great post! I think this is part of why some authors are wary of writing diverse books - they're afraid to get it wrong. As a writer, I can understand that, but there are SO many types of diversity. If an author doesn't have firsthand knowledge about a particular group of people - say, a certain race or religion - don't write about that. Or research it well, make friends within that group, ask questions...OR just write something else. Some diversity is better than none, right? As long as it's done authentically and naturally of course, and not just to complete a 'checklist' of diversity. I think with such an emphasis being put on diversity these days, writers are more aware of it, and so are readers. Readers WANT diverse books. We want to see ourselves, our friends, our community reflected in books. We want to learn more about other cultures and religions and people in general. Representation AND accuracy are key. 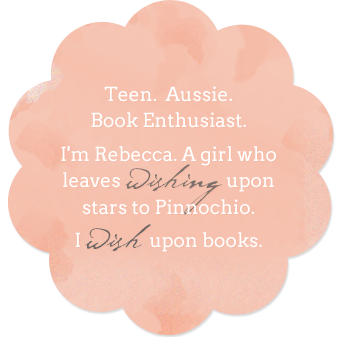 This is a really wonderful post Rebecca, I totally agree that we need diverse books but I hate it when it's just slapped on like a label but not handled authentically. You hit the nail on the head with how it should be written. Wonderful post, Rebecca! I am so excited about this challenge. Thank you! Totally agree with your post. Books sometimes do spark something within, that question whether you do understand everything or if your understanding is correct. Sometimes I read a book and I wonder, is that really true or not? Diverse books show me that the world is such a big place and that I am a unique individual. Sometimes we just have to question the world around us, to grow and embrace it. I just watched a movie this week called Oranges & Sunshine, a true story about the deportation of thousands of children. Now, to read the book and learn more.